Contra Costa College is a community college in the San Francisco Bay Area serving a diverse and thriving student body. Through a full rebrand and redesign process, Rootid was able to update their visual language and marketing assets to transform their approach and drastically increase their student applications. Contra Costa College was ripe for a brand revitalization and with a wide variety of transferable education institution experience, we were ready to support their endeavor. Happy New Year From Rootid & Exciting Announcements! By all measures, 2017 was quite the year. Though it began with a sense of confusion and uncertainty, we can’t help but feel inspired by how our clients, friends, and partners have joined together to make a difference around the world. In 2018, we continue forward with the momentum of our collective beliefs toward more equitable and healthy communities that celebrate diversity. Last year, Rootid continued to grow our rockstar team as we expanded our service offerings to nonprofits. Our team now spans 3 time zones and offers more than just print, web design and custom development services. Our continued expansion provides a more holistic approach to nonprofit marketing and communications that helps our clients engage their communities through authentic and strategic brand development, more thoughtful and effective messaging, and multi-channel marketing management. We also formed a major strategic partnership with Full Circle Fund, where we helped launch the Nimble Nonprofit Series, capacity building workshops that serve Bay Area nonprofits and community members. Valerie Neumark Mickela, Rootid Co-Founder, also joined their Board of Directors this past fall. We're still fueled by our inspiring clients. Their impact around the world is literally changing lives inc communities, influencing policies that shape our future, and building a more equitable society where everyone can thrive. Looking Forward: Exciting News in 2018! We’re determined to serve more nonprofits, both established organizations and 'nimble' newcomers. In addition to continuing to grow our 360-degree approach to customized marketing services, Rootid is excited about a new product to be released in 2018 that will help smaller nonprofits get started with a powerful online marketing tool set at an affordable price. Keep your eyes peeled for announcements! Our team is also committed to giving back to the nonprofit community through in-kind services. Last year, we completed the 3rd Annual brandUP campaign, by providing $10,000 in marketing services to Root & Rebound. Our team is determined to continue to be a catalyst for big ideas and great nonprofits. This year, we will expand the scope of brandUP to impact even more nonprofits. Stay tuned for our 2018 announcement! Even nonprofits with established identities need to reevaluate from time to time in order to stay relevant. In many cases, a brand refresh may be necessary. What is a Brand Refresh? Simply put, a brand refresh is a makeover. The goal is to enhance your organization’s image, while staying recognizable—but how do we go about that? Review your core values. Go back to the beginning. Remember all of those questions you sat down and asked yourself the first time around? It’s time to revisit them to see where your answers now differ. Example question: What makes your organization unique? Conduct stakeholder interviews. As a general rule, it’s good to do these once a year, as a tool to gauge the effectiveness of your mission, outreach, and short/long-term goals. Getting feedback from stakeholders (internal staff, your board of directors, community members, etc.) will help you determine which aspects of your brand need addressed. Example question: Using a few keywords, how do you want people to see your brand? Redefine your target audiences and personas. Determining your target audience was tough the first time around. Thankfully, you should have a better idea of who is most receptive to your message now. If you haven’t already, it’s time to start grouping common characteristics to create personas—or profiles of imaginary people. Consider what they want from you and what you want from them in return. How can you guide them from being unaware of your organization to a loyal brand advocate? Keep fleshing them out. Develop content that will interest them at various stages in their journeys. Update your visual language. Mood boards are an effective way to discuss ideas, share insights, and clarify communication. They help visually explain a feeling and, in turn, develop a more authentic and successful brand. They’re where your brand refresh will be most evident, especially if your organization adopts a new logo. Tweak your messaging. Great content is critical to achieving higher conversion rates and engaging user experiences. Based on your profiles’ points of view, consider what tone of organizational “voice” would best reach, engage, and compel community members and donors. Audit your marketing materials. You’re almost there! It’s time to look at your print materials, event collateral, social media channels, newsletter templates, website, etc. Are they achieving measurable results? Do they need to be updated to reflect any of the aforementioned steps? Update your assets. Your assets are your brand messengers. 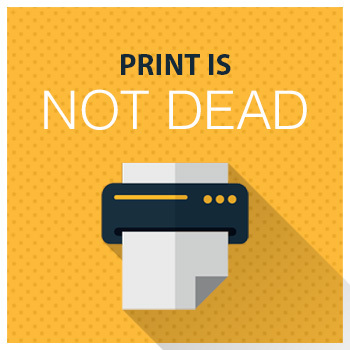 As such, it’s important to maintain cohesive marketing materials in print and online. Doing so will lead to more donations and more volunteer signups, so be sure to keep them up-to-date. For a successful brand refresh, you’ll need a look at where you came from, where you are now, and where you want to go from here. The adjustments will take work, but the end results should be well worth it! Are you ready for a brand refresh of your own? Check out one of our recent brand updates, or shoot us a message! The key is understanding when and how to leverage that preference. Print collateral is best used in strategic settings, where you’re in a position to provide something tangible—something that either lends credibility (banners, signs, swag, etc.) or encourages engagement (programs, forms, business cards, etc.) Take Full Circle Fund’s yearly UNITE event, for example. By utilizing print, we were able to set a festive and informative tone at SF Jazz. Everything was branded and strategically placed—from the stickers on the mini-wine bottles to the programs highlighting Full Circle Fund’s grant cycle. Even our new foldout business cards had to pull their weight, that night. In addition to providing basic contact information, they also listed our services, featured a client testimonial, and encouraged follow-up with a tear-off ticket (redeemable for a drink with a Rootid founder). That’s not to say digital didn’t play a role, of course. No one can dispute social media’s role in creating awareness. The point is, by recognizing print and digital’s individual advantages, we were able to help Bay Area guests discover and celebrate social change in their community. That, in and of itself, is a huge success! If you're still putting out annual reports the old fashioned way—pulling stacks of statistics, rounding up designers, blowing your budget on print copies, etc.—this post might be an eye-opener for you. Not only are annual report websites generally less expensive, they're also easy to fill with impactful media, easy to deliver, and easy to track. Plus, they're much more conscientious of the planet. GRID Alternatives' adopted an online annual report format a few years ago and now simply updates the stats, graphics and stories each year with new information...saving time and money. Their annual report is styled in a familiar, almost print-like layout. Echoing Green's 2014 report used floating side navigation to make it easy for visitors to jump to the information they were most interested in. Shopify's 2013 report summarized their news with an interactive timeline. GV (Google Ventures) incorporated videos in the impact section of their 2014 report. Charity Water reinforced the human element (their team) in their 2014 color block and photo layout. MailChimp's 2015 report linked stories to social posts, i.e. When referring to a mariachi band that played the Star Wars theme in their office, they linked to a video on Instagram. MailChimp's 2012 report featured an interactive element that allowed visitors to browse user statistics by demographic. Lemonly encouraged visitors to interact with their 2016 report, using a circular beam of "light" to reveal facts. Flama laid out their 2016 report as a click-through slideshow. One's bold use of color and typography combined with compelling photography and language really makes their annual report shine. 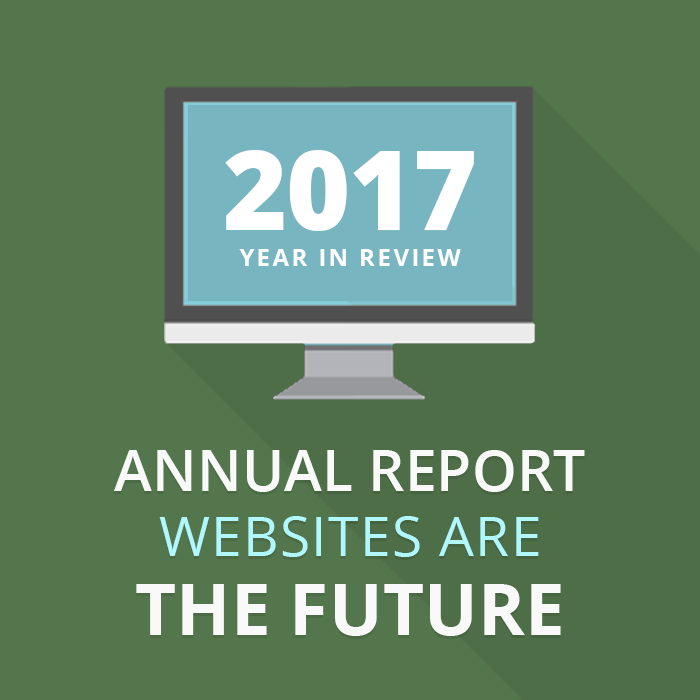 Styles may vary, but all successful annual report websites have two things in common: professional presentation and convenience. Sounds like a win, win! Need help with your next Annual Report? Drop us a line! We don’t talk much about food and drink on Rootid’s blog, but when you’re getting ready for a 3 day trip to New Orleans for the NTEN conference, you have to plan accordingly. If you’ve been to New Orleans, you know that the Crescent City has some of the best music, cuisine and bars in the world. If you haven’t been there before, and you’re planning a trip, then you’re in for a treat! I’ve been fortunate enough to visit on several occasions for conferences, and have put together this list of amazing local eats, cafes and bars. If you’re going for a conference, then you’re likely going to be located near the conference center. This list is curated to ensure that you can easily access these spots within a 20-30 minute walk depending on where you are staying. You can’t leave New Orleans without heading over to Cochon Butcher. Butcher, as it’s commonly referred to, is connected to the world renowned Cochon restaurant, run by James Beard award-winning chefs Donald Link and Stephen Stryjewski. The menu is a take on an old world butcher with a cajun flair. Items range from a the muffaletta (my favorite) to the hot boudin. All the meats are smoked or cured in-house. They also have a great selection of beer and wine. I also love their homemade pickles! Butcher is a perfect place for a quick conference escape since it’s is within a short walk of the convention center. If there’s no other place you make it to, go here. Nothing says soul food like fried chicken. Wilie Mae’s Scotch House holds the Food Network and Travel channels title belt for the best fried chicken, so don’t miss out on this one. This New Orleans gem is run by 3rd generation Seaton family members, and they still use the original recipes. If you don’t want fried chicken, there are a wide variety of other soul food classics to choose from. Just make sure you get here early. A line starts to form before the restaurant opens, so if you don’t plan accordingly, you might miss your next conference session (it would be worth it if you did). Johnny's Po-Boys doesn’t look like much from the outside, but what they’re cooking inside might change your life. Johnny's is the oldest family-owned restaurant in New Orleans. You can smell the love when you walk in the door. It features classic southern cooking in a red plaid plastic tablecloth setting. The menu is large, so you can come back over and over if you want to try different features like alligator sausage po-boy, crawfish po-boy, or an oyster po-boy… oh yeah they do have other incredible dishes that aren’t po-boys too. Nothing says New Orleans quite like a freshly fried beignet with a pile of powdered sugar on top. Hey, I never said eating in New Orleans was healthy! Although most people are familiar with the world-famous Cafe du Monde, I prefer the more reserved Cafe Beignet located in the French Quarter. It feels more like a neighborhood cafe with a quieter atmosphere, and fewer tourists hawking over you while they wait to steal your table as soon as you take your last bite. This isn’t that close to the conference center, but it's worth the trip. Plan an early morning planned to make sure you get your fill of this classic. Order your beignet with a cappuccino for the full experience. Despite its appearance, The Courtyard Brewery is quickly becoming one of the places for beer geeks to frequent with its wide variety of brews. In addition to serving beers they brew on location, Courtyard has a great list of other breweries from across the country. Stop by and have a few in their outdoor “courtyard” with friends or soon-to-be-friends. An urban oasis that was carved out of a rough looking building, the Rusty Nail sports a beautiful outdoor patio that is perfect for those warm New Orleans evenings. It’s located close to the convention center, so you can take the edge off after a day of sitting in seminars. Their drink list features a number of classic cocktails with a twist, or enjoy one of their several beers on tap. They always have a good line up and can provide something for everyone no matter your preference. Of course, you can’t have a Best of New Orleans list without mentioning music. There are literally hundreds of places to choose from when it comes to live music in New Orleans. I’ve been to many of them, but for some reason, I always like the Spotted Cat - the quintessential New Orleans Jazz club. For some reason I have a soft spot in my heart for The Cat. 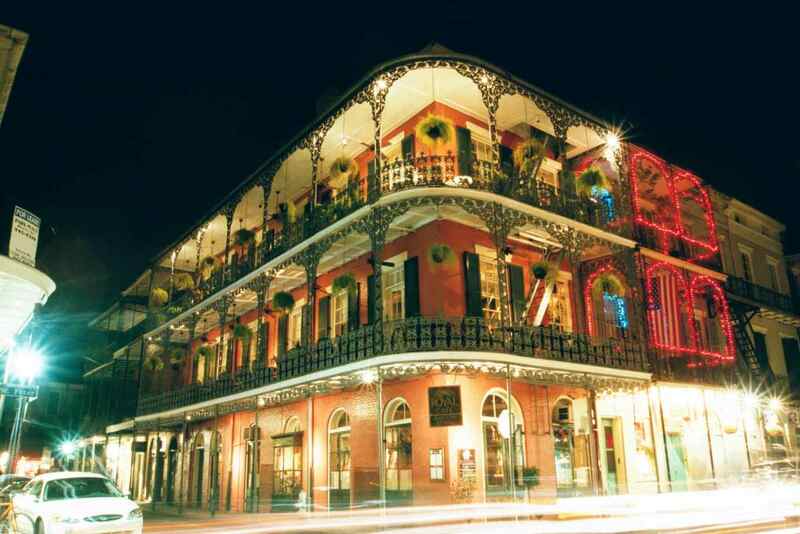 Perhaps it is because it's one of the first places I visited my first time in New Orleans. Are there better venues? Yes. However, The Spotted Cat always has a great atmosphere, and a small enough space where you’re basically standing right next to the band all night. It just feels good. Check it out. They have free live music there 7 nights a week. Mood boards are a an effective way to discuss ideas, share insights and clarify communication. They will help you visually explain a feeling and in turn, develop a more authentic and successful brand. What makes a successful mood board process? Here is a simple 5 step process that will help you succeed. 1. Mood boards help us understand. We use mood boards as a conversation starter—a way to describe things that sometimes can not be explained as clearly with words. It is also a way to build common vocabulary so that when a stakeholder says they want something ‘modern,’ ‘clean,’ ‘friendly’ or ‘leadership’ looking, we understand the nuances related to what they are describing. 2. Successful mood boards are built collaboratively. Rather than presenting what Iwe think the ‘look and feel’ should be, your team shouldwe all work together to refine photography, fonts, icons and color palette options. The discussion that surrounds what project stakeholders like and especially, don’t like, not only creates a strong foundation for the new visual language, but lays the groundwork for more effective project communication. 3. Mood boarding is about following your gut. Since clients sometimes have a hard time conceptualizing mood boards, breaking thethis exercise down into more bite size pieces helps them engage more deeply in the process.experience the process more effectively. Mood boarding has been called They often rename it ‘art therapy’ because it becomes less about what thetheir brand, identity, print, website or social media campaign will ‘look’ like, and more about how it will ‘feel’. 4. Mood boards help us visualize an idea. During theIn our first round, Rootid’s teamwe always strikes out in a lot of different visual directions that feel unique from one another. Then we hone in 2 more rounds to get to a mood board that feels like a combination of the strongest attributes that will ultimately define the visual language. 5. Mood boards are a single page style guide. In many ways, you can think of it like a small, succinct style guide. Rather than multiple pages of information about look, feel and messaging, it gives you a quick overview on a single page that still contains all of the needed elements. At Rootid, our team uses mood boarding as a collaborative and effective way to generate a brand’s look and feel. It is the best way we know to communicate the nuances that go into building a cohesive and authentic visual language for any brand. Don't forget to test your moodboards with your audiences. Remember that you're trying to visually communicate with a lot of different people: customers, donors, constituents or whoever else. We have had many clients share their mood boards with those they are serving as well as board memebers or any other stakeholders. The more feedback they got, the more effectively they were able to visually communicate with their supporters. Conduct stakeholder interviews will help you get feedback and refine your work. Check out our stakeholder interview guide to make sure you get the information your need.